An important aspect of the worship of God is that it is communal. We believe that the Christian life was never meant to be solitary! That is why we come together for the Contemporary Service to worship together the God who made us and rescued us. What is the Contemporary Service? At the Contemporary Service, brothers- and sisters-in-Christ gather as the family of God every week to express our love and worship to God. We do this through songs, prayer, and listening and responding to God’s Word. Every month, we celebrate the Eucharist (Holy Communion) where we remember how Jesus died to cleanse us of our sins and was resurrected to give us hope and a new life. 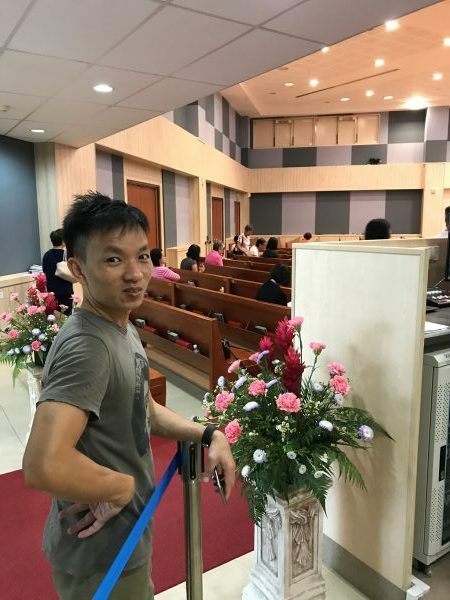 The Contemporary Service complements the Traditional Service in the worship life of Ang Mo Kio Methodist Church. So, while the musical expressions and types of songs may differ, the heart of worship to the one true God remains the same. Click here for the timing and location of our Contemporary Service! What is the Contemporary Service Ministry? We are the collection of ministries that exist to support the weekly Contemporary Service. We cover whatever is necessary to facilitate the gathering of God’s people to worship Him. 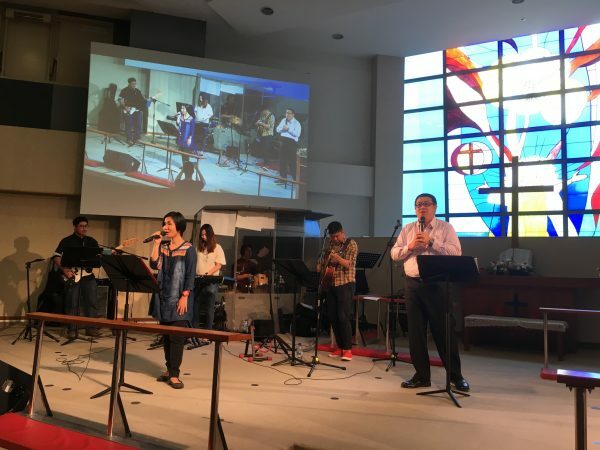 The Worship Ministry is a team of believers that is called to facilitate the worship experience at AMKMC through music, encouraging and leading the congregation into the presence of the Lord. Two different teams serve at the two service locations of the Contemporary Service every Sunday morning. Commitment to the Worship Ministry entails participation in a worship practice session before Sunday, setting up and packing up equipment before and after the service. The songs played during service include a praise segment, and may include songs for offertory, Holy Communion and a song of response. The AV Ministry is the 'unsung hero' not many people know of unless some technical problems arise. We serve God through the use of sound and sight. We provide support for worship services, prayer meetings and any ad-hoc requests such as weddings. During the service, we are the bridge between the main sanctuary and AMK Hub. Volunteers are welcome to join us even if they have no prior relevant experience. Through special sessions and on the job training, we equip members with the knowledge and know-how to do their best in their service to God. We welcome anyone who has the passion to serve in our AV ministry. The Usher Ministry is a ministry of welcoming, helping and serving the people. Some of the tasks are operational, like pre-service set-ups and giving out bulletins, etc. At the same it is a people-centric ministry which aims to make people feel welcome at church, to be the ambassadors to new visitors, or even to direct the congregation to other ministries in church. The only pre-requisites to becoming an usher are a love of people and a humble and willing heart to serve others. 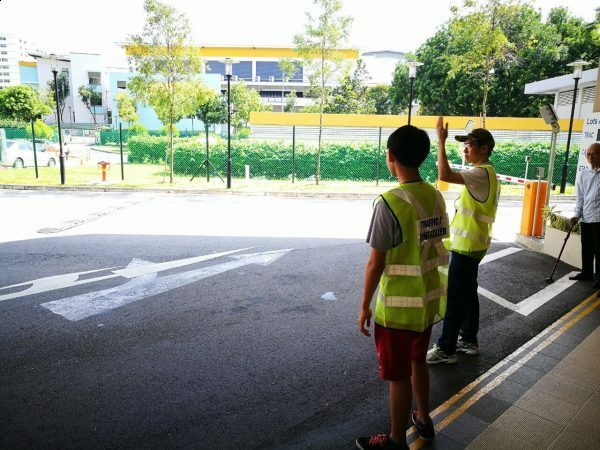 Service Operation Leaders are the conduit for the services at the main sanctuary in church and AMK Hub. 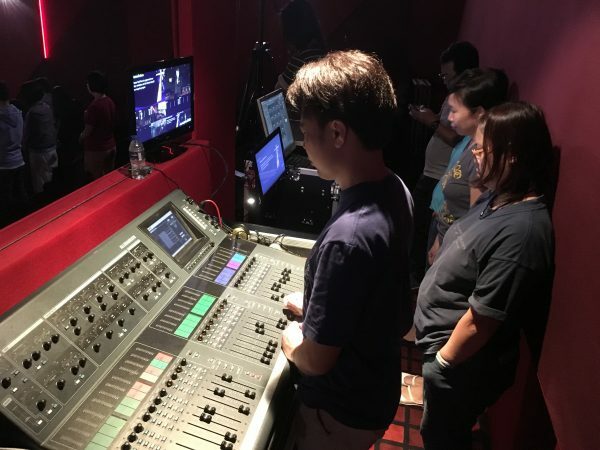 They ensure that pre-service prayers are conducted, coordinate the timing of the service and also the simulcast alongside the audio visual teams, and give cues to the pastors to begin different segments of the service (i.e, announcements, tithes and offering collection, doxology, etc). Prayer ministers act as intercessors to pray for members of the congregation. 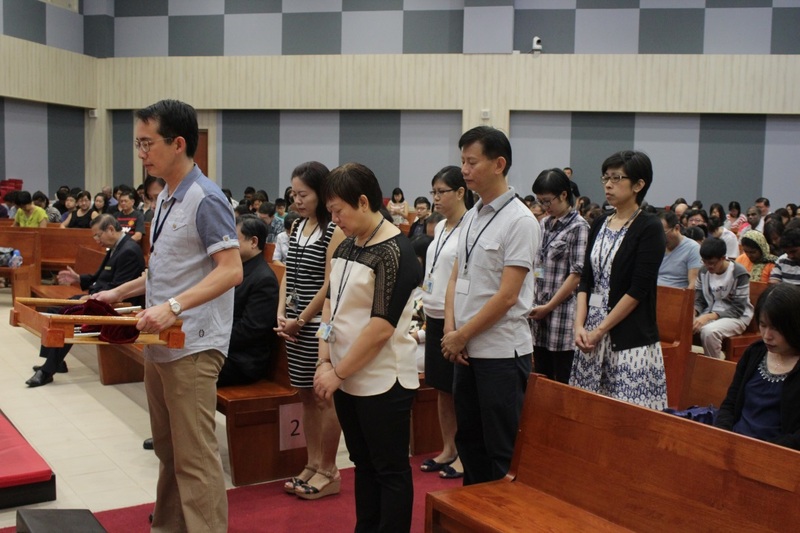 They serve mainly during the pre-service prayer segment and the Altar Ministry after service. Before the service starts, the prayer minister will lead the people to pray for different groups of people: the ministers who are serving on that day, the preacher, and the people who are coming. At the end of the service, prayer ministers will pray for people who come forward to the altar rails for prayer. Before prayer ministers step up to serve, training will be provided. The traffic warden ministry exists to ensure a safe church environment for the congregation. We serve mainly before and after services when large numbers of members and cars arrive and leave the church building. Our main task is to manage the flow of vehicular traffic at the church entrance. We also help to direct members to walk along designated pathways, and assist members, especially the elderly and the physically disabled, to embark and disembark. No prerequisites are required and basic training will be provided. If you have a passion to serve and a good sense of alertness, do come and join us as a traffic warden. Accounting stewards help to keep the church accountable by counting our offerings after service every week. If you like administration and are looking for an avenue to serve, you are welcome to join us. Click on the individual ministries to find out more. 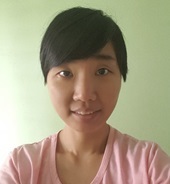 Click here to read more about how Ms Ho Ai Choo came to serve in the Contemporary Ministry and her experiences in the ministry. As you can imagine, it takes a lot of volunteers to ensure the smooth running of service every week! We are always on the lookout for people who are passionate about God and about serving Him and His people. If you have a teachable and willing heart, we invite you to join us in ministry! 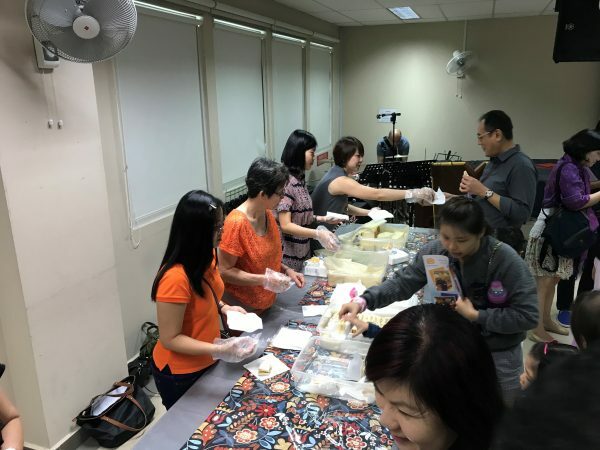 Contact Pastoral Team Member Alphonsus at alphonsusang@amkmc.org.sg to find out how you can serve in the Contemporary Service Ministry!